Beginning in Mountain Lion, OS X features social media integration options with both Twitter and Facebook, letting you post to the services from the OS itself, as well as sync contacts. 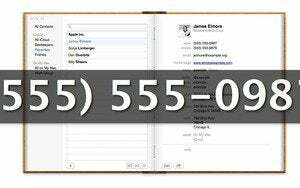 To associate an account, open up System Preferences and go to the Mail, Contacts & Calendars preference pane. You’ll see a list of accounts that you’ve already set up; just click the Plus (+) button at the bottom to add a new one. When prompted, choose the type of account you’d like to set up. In this example, we’ll use a Twitter account. Enter your Twitter username and password in the following sheet and click Sign In. Once you’ve set up your account, you can tweet from a variety of sources, including Safari, the Finder, Notification Center, and more. In Safari, tap the Share button and select Twitter; the tweet sheet will appear, along with a thumbnail of the page you’re currently viewing, a link to which will be included in your tweet. If you have multiple Twitter accounts set up, you can choose the one you want to tweet from by using the drop down menu; you can also choose to add your location by tapping Add Location. In the Finder, you can post images to Twitter. Just select a picture, click the Share button, and select Twitter. As in Safari, you’ll see a thumbnail of the picture you’re tweeting; it’ll be uploaded to Twitter’s picture-sharing service along with your message. You can also post images to Twitter via Photo Booth, Preview, and Quick Look. If you’re just looking to tweet a simple message without any attachments, open up Notification Center by clicking the icon in the top right of the menu bar. You’ll see a Click to Tweet button which, unsurprisingly, you click to get a tweet sheet. Enter your message and tweet away. If you don’t see the Click to Tweet button, visit the Notifications pane of System Preferences and make sure you’ve enabled the Share button in Notification Center.